Considered one of the best all around athletes in the state, Clyde was a two year all state performer in football and basketball. In 1966 he led the Bob Swanhorst coached Bearcats to the State A Championship with a win over Aberdeen Central and was named the tourney MVP. His performance included a 30 point, 21 rebound performance in the semi finals. For the season he averaged 22.5 points and 17 rebounds a contest. He received Prep All American recognition in football in 1965 and basketball in 1966. At SDSU he became the last three sport star in the North Central Conference. He earned All Conference honors in football and basketball and won three NCC shot put titles. In 1970 he helped lead the Jacks to the NCAA Division II Elite Eight with 31 points and 14 rebounds in the Regional title game and was named to the all tourney team. In 1974, Clyde began to officiate high school basketball games in response to a shortage of officials and this led to 36 years as a referee. During this period he was selected to officiate 40 boys and girls State Tournaments including fourteen Championships. 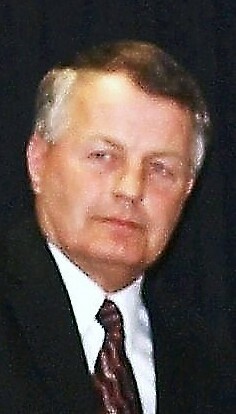 He was named Boys Basketball Official of the Year in 2002. His performance and contributions to sports in SD has been honored several times. Clyde’s family includes his wife Tracy, daughters Stacy and Alyssa, stepson Heath Gran and six grandchildren.